Do Not Rent a Carpet Cleaning Machine Raleigh NC Before Reading This! Renting a carpet cleaning machine that does not work is throwing your money away. Do not Rent a Carpet Cleaning Machine Raleigh NC that does not work! Why rent a carpet cleaning machine and then do all the work when for just a little more we will do all the carpet cleaning for you and the results will be much better with us doing all the work. 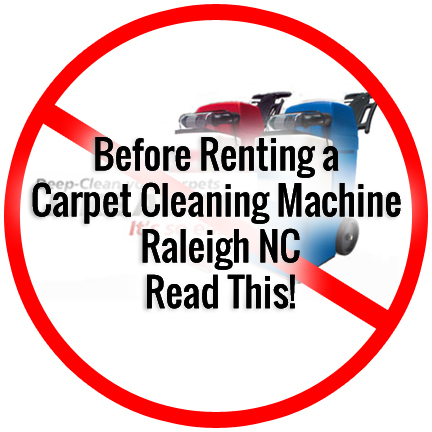 Do not Rent a Carpet Cleaning Machine Raleigh NC before you read this! Let the professionals do the work the right way at a fair price. We have been cleaning residential carpets in the Raleigh, Cary, Garner, North Raleigh, Apex, Durham and Chapel Hill area for over 20 years. Carpet Cleaning rentals over wet your carpets and take a long time to dry. They don't do deep carpet cleaning and have very little to no suction. After you buy all the cleaning solution and after all your hard work you are left with an inferior carpet cleaning for almost the same price or you end up even spending more, plus you gave up one of your week days or weekends. We also offer 24 hour water removal – Water extraction, Air Duct Cleaning, Upholstery Cleaning, and Oriental Rug Cleaning. Carpets need a good cleaning after many months of traffic from the outdoors coming into your home. That is what NC Carpet Cleaning Company Alert Cleansafe Technologies Provides… Professional Carpet Cleaning Raleigh NC – Over 20 years with no catches and no price changes. Just clean carpets. Outside air contains pollens, fungus, bacteria, pollution nicotine smoke, automobile exhaust and many chemicals. Once you and those entering your home come into your house you carry those pollens , bacteria, and chemicals in your hair, on your skin, clothing, and shoes. Not amazingly all those chemicals, pollens and bacterium finish up, as you may have already guessed, in your carpet. If you've got allergies, asthma, emphysema, or unusual respiratory issues, one major reason of your affliction might be the pollens, fungus, and or chemicals caught in your carpet or even living in our Air Ducts. We utilize high efficient truck mounted hot water carpet cleaning extraction. Truck mount extraction cleans far better as a result of it heats the water to the next temperature and shoots the cleansing answer into the carpet at higher pressure that breaks up the dirt, bacterium and pollens. Then the machine uses higher suction to draw the dirt out of the carpet. An Accredited Business with an A+ Rating by the Better Business Bureau (BBB) and with over 20 years of providing quality service in North Carolina, Alert Cleansafe Technologies is the right choice for your carpet cleaning needs. Professional rug cleaners, Carpet Cleaning Raleigh NC – Over 20 years, The professional carpet cleaning technicians at Alert Carpet Cleaning have the skills to get your carpets cleaned right the first time. 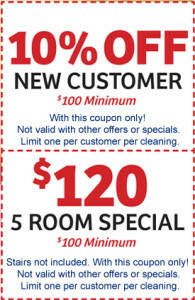 No price changing, and No Gimmicks just clean carpets.